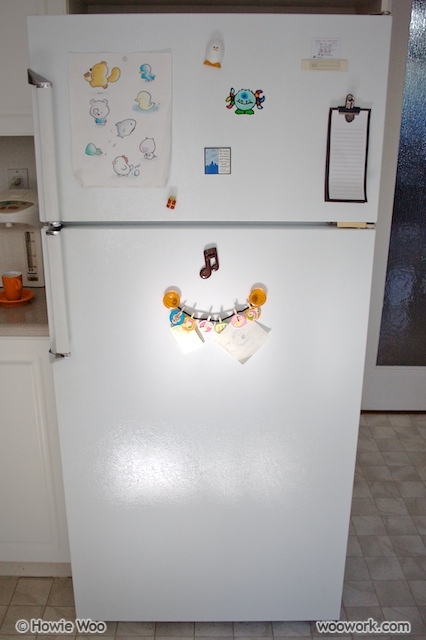 Are you familiar with the Fridge Critters? 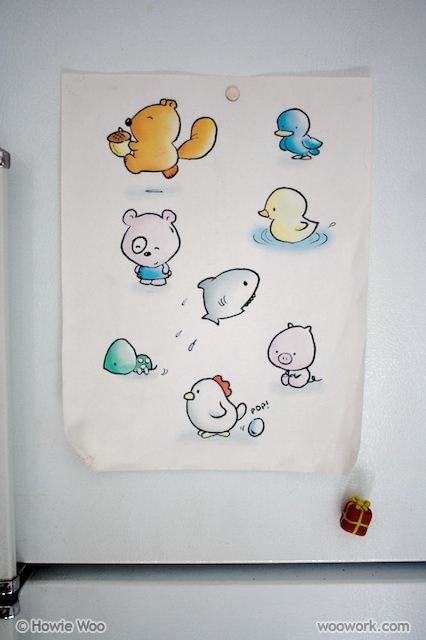 In 2001, when I was learning to use a pen tablet, I drew eight baby animals and put that drawing on my fridge. To celebrate learning and my first year of crocheting, I'm recreating that 2D drawing into 3D crochet form. The fifth Fridge Critter is the shark. His name is Sherman, and he's a natural-born killer. Watch out! He has sunk his yarny teeth into the blubber-rich bum of a walrus. He has munched on a school of sardines who would forever be late for class. He has clamped onto a bucking beluga whale, all in slow-motion. He has shared cod entrails in a blood-red sea of conquest and camaraderie. And yet, late at night, he relaxes his unblinking eyes and sees a scene of green. It's a dream where every bite blooms with redemption and tastes not of impending death but of flourishing life. He would kill for some broccoli. You know, sometimes I could kill for some broccoli too. He's SO cute. And I love the video showing how you got the pictures. Great work and presentation as always! LOL You are on a ROLL!! Can they all live in harmony together? Perhaps Sherman can change his dietary habits and just be happy with veggies? Wonderful imagination as well as bringing them to life!! LOVE,LOVE,LOOOOVE Sherman (and I don't generally say things like that as I'm from the DEEP SOUTH, USA).... Seriously, Sherman is as cute as he can be & I'm loving your behind-the-scenes videos! Thanks for the Friday afternoon giggle! Loads of FUN, as usual! I second Simply EC! I would kills for some broccoli too! YUM! Sharks have all the fun! 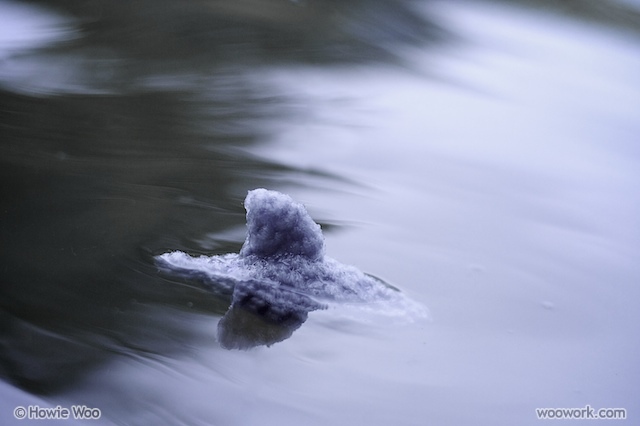 Very cool - I had wondered how you captured the splash! Very cute, I love the teeth! I think Sherman is my favourite so far. He is so freakin cute! Definitely my fave so far. You make the most incredibly things! I am quite jealous of your talent. It's amazing! K4TT: Yes, to be safe, I think Sherman should be kept apart from the other Critters. I caught him looking at Squire the Squirrel and licking his chops! raeonix: I'm glad you're looking forward to the updates, thanks :) I try to update every week, and I marvel at bloggers who can blog every day! 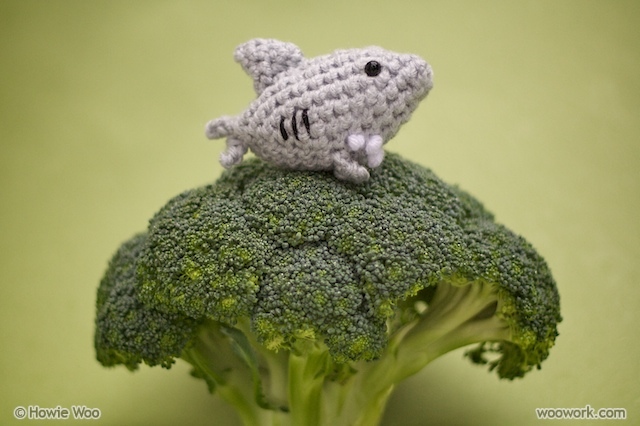 JenGoPop: Your kind broccoli offering will save you from future shark attacks! ;) Smart trade! Miss Julep: I'm grateful for your Deep South praise! The behind-the-scenes videos are recorded by my patient gf usually without my knowledge, and it's great to share that footage. Jana: Thanks :) You and Sherman could share a sea of broccoli, which would make an awesome sight! PaisleyJade: Yes, my gf created some good pebble splashes! She's known for having good aim, and that skill came in handy that day! 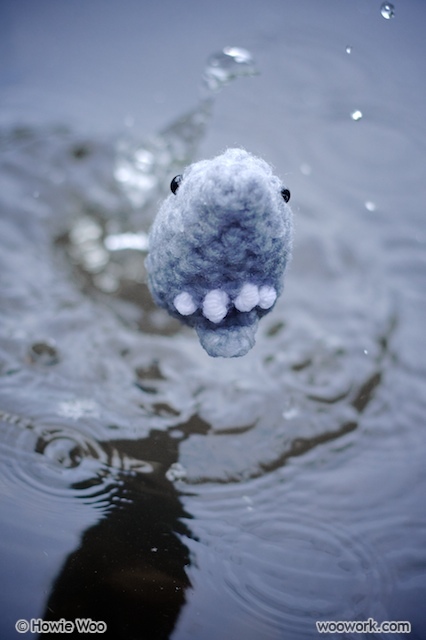 Ascasewwen: Thanks :) Sherman's teeth are yarny soft but his jaws are like a steel trap! I enjoyed seeing Sherman in the video very much! So much goes into shooting the photos...You guys make a great team! I love your tiny little critters! Adorable! Sharks do have a large fan base, I'm realizing! 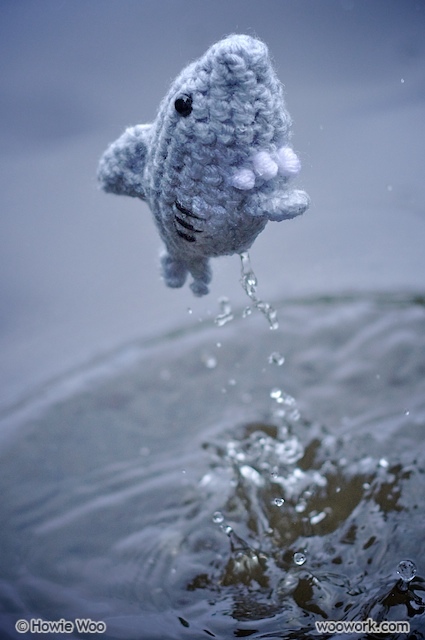 I've just recently started making amigurumis and I LOVE this little shark!!! 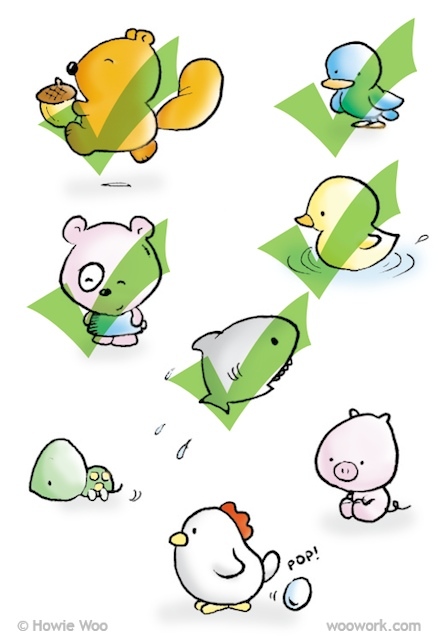 and all the baby critters :) but my boyfriend is a marine biologist studying sharks and I was wondering if you have the patterns for these posted anywhere so I could make one for him? Thanks so much, and keep up the amazing work!